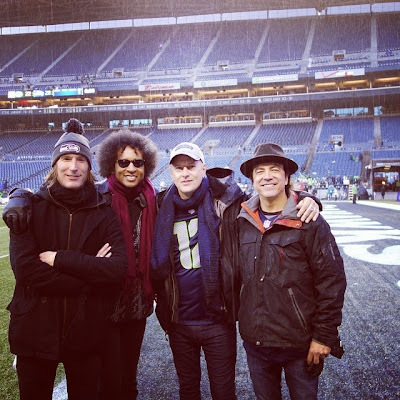 Alice In Chains performed the halftime show during the NFC Championship Game between the Seattle Seahawks and the Green Bay Packers at CenturyLink Field in Seattle on Sunday. The Seahawks won the game 28-22 in overtime after a miracle comeback saw the team rebound from 19-7 deficit with just four minutes left in regulation time. The team will defend their Super Bowl title against the New England Patriots at Super Bowl 49 in Glendale, Arizona on February 1.